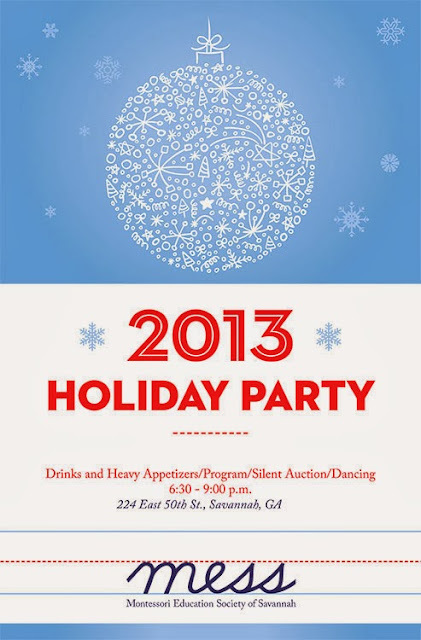 Mark your calendars for the 2nd annual Montessori Education Society of Savannah Holiday Party on Thursday, December 5th at 6:30-9:00 pm at 224 East 50th Street. It's a good time for a great cause! I hope to see you there!